Bank account which we all need these days to keep our money, everyone of us have already opened savings account in Yes Bank I hope so even you have done it. And now you want to open current account in Yes Bank, if yes and you are searching online for an article in which you will find information regarding how you can get an current account opened for you. Then let me tell you that you have been landed on the right website here. 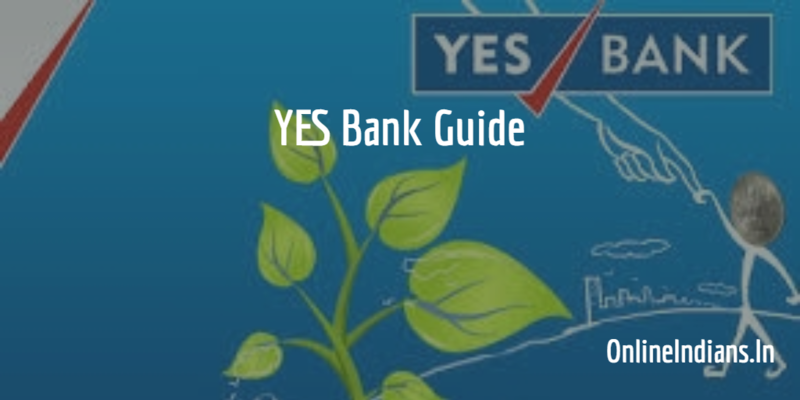 Because in this guide on Online Indians you will find the complete procedure which you need to follow to open current account in Yes Bank. How to Open Fixed Deposit in Yes Bank. And How to Open PPF account in Yes Bank. So now lets us get to the point and check out the procedure which you have to follow in order to open this kind of account of yourself. We have mentioned all the steps below, which should be read carefully by you. The first thing you have to do is collecting account opening form which you will get in any branch of the bank. Fill the form with all the details asked to you in the form. Now take two latest passport sized photographs of yourself for the application form. For current account, you need some special documents and they are, You need your company Registration certificates such as Service Tax Registration, VAT Registration or equivalent proof. Collect them. Take photocopies of all the documents which you are going to submit to bank and make your signature on them. Because until you make them self attested by making your signature on them they are not considered as valid. Now visit any of the Yes Bank branch which is near to you and submit the form along with the self attested photocopies of your documents. You are done with it now. So this was how you can open Current account in Yes Bank, now you need to make minimum deposit of amount which bank officials will tell you and maintain minimum balance too. I hope you are clear with all the steps which we have mentioned in this guide above. If you have any kind of doubts or questions in your mind you can leave your comment below. We will reply to your comment as quick as possible and clear the doubt you have in your mind. So you want to update your mobile number in YES Bank without visiting your branch. I suggest you to call YES Bank customer care by calling them on their toll free number: 1800 2000, they will tell you the complete procedure which you need to follow.